Former Inspector-General of Police, Sunday Adewusi has passed away, at the National Hospital, Abuja. 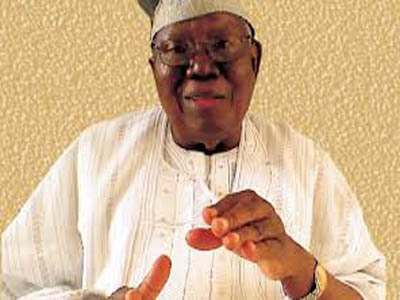 Adweusi was announced to have died at the age of 80, at about 9pm on Tuesday night after a brief illness. News of his death was disclosed by the Force Public Relations Officer, Bisi Kolawole on Wednesday. Here are a few things to know about him. – Adewusi was the youngest inspector General, who attained that position in 1981 at 45 years. – He was promoted as Assistant Superintendent of Police in 1959. – Also in 1962, he became the Deputy Superintendent of Police. – He was the Superintendent of Police in 1963. – Adewusi was the Chief Superintendent of Police in 1967. – Assistant Commissioner of Police in 1969 and Deputy Commissioner of Police in 1971. – At 32, he became a Commissioner of Police in 1972 and Assistant Inspector-General of Police in 1975.